DOJ’s Inspector General just released a report of all the recommendations it made prior to September 15, 2015 that are not yet closed. As it explained in the release, the IG compiled the report in response to a congressional request, but they’ve posted (and will continue to post, every 6 months) the report for our benefit as well. Specifically, we have posted a report listing all recommendations from OIG audits, evaluations, and reviews that we had not closed as of September 30, 2015. As you will see, most of the recommendations show a status of “resolved,” which indicates that the Department of Justice has agreed with our recommendation, but we have not yet concluded that they have fully implemented it. As that release made clear, most of the recommendations that have not yet been closed are not open, but resolved, which means DOJ has agreed with the IG’s recommendation but has not fully implemented a fix for that recommendation. Three of the other still-open recommendations pertain to hiring; they pertain to nepotism, applicants for the civil rights division wanting to enforce civil rights laws (! ), and the use of political tests for positions hiring career attorneys (this was the Monica Goodling report). Another still open recommendation suggests DOJ should document why US Attorneys book hotels that are outside cost limits (this pertains, ironically, to Chris Christie’s travel while US Attorney). The remaining 2 recommendations, both of which date to 2010, are of particular interest. The OIG recommends that the FBI should issue guidance specifically directing FBI personnel that they may not use the practices known as hot number [classified and redacted] to obtain calling activity information from electronic communications service providers. The first pertains to the IG Report on exigent letters. The report described (starting on PDF 94) how FBI contracted with two providers for “hot number” services that would let them alert the FBI when certain numbers were being used. FBI first contracted for the service with MCI or Verizon, not AT&T (as happened with most tech novelties in this program). The newly released version of the report make it clear that redactions are redacted for b1 (classification), b4 (trade secrets), b7A (enforcement proceedings), and b7E (law enforcement technique). At one point, then General Counsel now lifetime appointed judge Valerie Caproni said the practice did not require Pen Registers. I find this practice — and FBI’s longstanding unwillingness to forswear it — interesting for two reasons. First, most references to the practice follow “hot number” by a short redaction. That suggests “hot number” may just be a partial name. Given that this section makes it clear this was often used with fugitives — just as Stingrays are often most often used — I wonder whether this involved “number” and “site.” That’s especially true since Company C (again, MCI or Verizon) also tracked whether calls were being made from a particular area code or [redacted], suggesting some location tracking function. I’m also interested in this because “hot numbers” tracks the unauthorized “alert” function the NSA was using with the phone dragnet up until 2009. As you recall, NSA analysts would get an alert if any of thousands of phone numbers got used in a given day, none of which it counted as a contact-chaining session. In other words, this practice might be related to one or both of these things. And 6 years later, the FBI doesn’t want to forswear the practice. The OIG recommends that the FBI seek to ensure that it is able to identify and document the source of facts provided to Congress through testimony and correspondence, and to the public. This report (see one of my posts on it) reviewed why the FBI had investigated a bunch of peace and other advocacy groups as international terrorist groups dating back to 2004. ACLU had FOIAed some documents on investigations into Pittsburgh’s peace community. In response, Patrick Leahy started asking for answers, which led to obvious obfuscation from the FBI. And as I noted, even the normally respectable Glenn Fine produced a report that was obviously scoped not to find what it was looking for. Nevertheless, a key part of the report pertained to FBI’s inability (or unwillingess) to respond to Leahy’s inquiries about what had started this investigation or to explain where the sources of information for their responses came from. (See PDF 56) The FBI, to this day, has apparently refused to agree to commit to be able to document where the information it responds to Congress comes from. I will have more to say on this now, but I believe this is tantamount to retaining the ability to parallel construct answers for Congress. I’m quite confident that’s what happened here, and it seems that FBI has spent 6 years refusing to give up the ability to do that. I didn’t read it when I originally reported in the NSL IG report, but it, like most IG reports, has a response from FBI, which in this case is quite detailed. The FBI claims that it had fulfilled most recommendations well before the report was released. The response to the open exigent letter recommendation is at PDF 224. It’s not very compelling; it only promised to consider issuing a statement to say “hot number [redacted]” was prohibited. In addition, with respect to the data requested with NSLs, FBI has taken out expansive language from manual models for NSLs (this includes an attachment the other discussion of which is redacted), but had not yet from the automated system. As part of today’s Senate Judiciary Hearing on DOJ OLC’s decision to make DOJ’s Inspector General ask nicely before it gets certain kinds of materials it needs to conduct its work, John Cornyn asked what changed in 2010 to make the FBI start pushing back against sharing information freely with the IG. Horowitz is suggesting that because Horowitz’ predecessor, Glenn Fine, released reports that showed FBI abuse of national security programs, FBI started pushing back against sharing information. The claim is particularly interesting given that the Exigent Letters report, which was released in January 2010, significantly implicated FBI’s General Counsel’s office, including then General Counsel and now lifetime appointed judge (with Cornyn’s backing) Valerie Caproni. The suggestion is also interesting given that Fine resigned in 2010 after starting an investigation into the use ofSection 215 and PRTT. It took years before DOJ had a working Inspector General again, resulting in a long delay before Congress got another report on how the government was using the phone dragnet. Just yesterday, I’m told, in our review of the FBI’s use of the bulk telephony statute, a review that this committee has very much been interested in our doing, we got records with redactions, not for grand jury, Title III, or fair credit information, because those have been dealt with, but for other areas that the FBI has identified legal concerns about. This is particularly troubling given that just weeks ago the USA Freedom Act mandated certain IG reviews of phone dragnet activities. But the FBI is still obstructing such efforts. Did FBI Stall an IG Review of Innocent Americans Sucked Up in the Dragnet? I mentioned earlier that the FBI withheld information on the Bureau’s use of phone dragnet tippers from DOJ’s Inspector General long enough to make any review unusable for Congress’ consideration before it passed USA F-ReDux. That’s important because of this passage from the Stellar Wind IG Report. Another consequence of the Stellar Wind program and the FBI’s approach to assigning leads was that many threat assessments were conducted on individuals located in the United States, including U.S. persons, who were determined not to have any nexus to terrorism or represent a threat to national security.402 These assessments also caused the FBI to collect and retain a significant amount of personal identification about the users of tipped telephone numbers and e-mail addresses. In addition to an individual’s name and home address, such information could include where the person worked, records of foreign travel, and the identity of family members. The results of these threat assessments and the information that was collected generally were reported in communications to FBI Headquarters and uploaded into FBI databases. The FBI’s collection of U.S. person information in this manner is ongoing under the NSA’s FISA-authorized bulk metadata collection. To the extent leads derived from this program generate results similar to those under Stellar Wind, the FBI will continue to collect and retain a significant amount of information about individuals in the United States, including U.S. persons, that do not have a nexus to terrorism or represent a threat to national security. 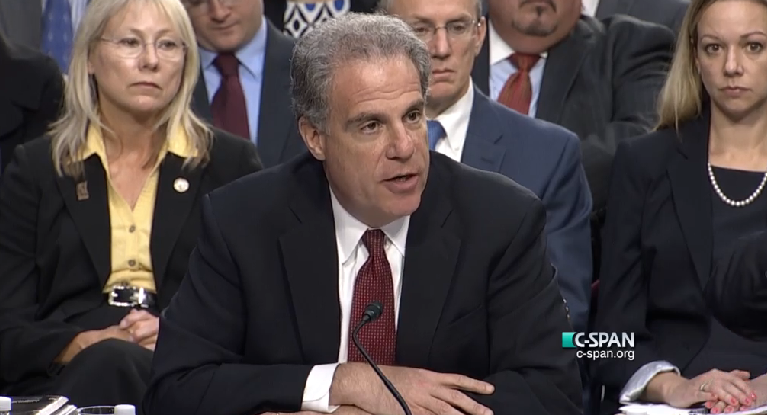 After a preceding section talking about how many of the tippers to FBI — which, after all, may be two hops away from someone of interest — weren’t all that useful, DOJ’s IG (the current IG, Michael Horowitz’s predecessor, Glenn Fine) noted how many Americans with no nexus to terrorism nevertheless have their names, home addresses, workplace, travel records, and family members’ identities collected and stored in an FBI database, potentially for decades. And, we now know, those assessments would include a search for any previously-collected content, which the FBI could read without a warrant. Fine recommended that FBI begin to track what happens with the Americans sucked up in PATRIOT-authorized dragnets. But we can be virtually certain FBI chose not to heed that recommendation, because it hasn’t heeded similar recommendations with NSLs, and because FBI refuses to track any of their other FISA-related activities. 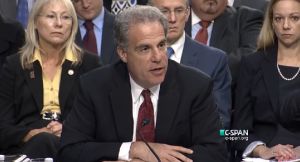 And Horowitz has been very disciplined in following up on previous IG recommendations in reports that follow up on like topics, so that is likely one of the things he planned to investigate with his focus on the “receiving, processing, and disseminating [of] leads” from the phone dragnet. Frankly, because NSA had to curtail so much of what they were doing with the phone dragnet in 2009, there should be fewer Americans sucked up in the dragnet now then there was when Fine did his Stellar Wind review in 2008-09. Though if FBI continued to require an assessment of every new identifier, it would still result in a lot of innocent Americans having their lives unpacked and stored for 30 years by the FBI. But those numbers will likely be higher — potentially significantly higher — under USA F-ReDux, because any given query will draw off of more kinds of information. More importantly, FBI is exempted from counting the queries it does on any database of call detail records obtained under the new CDR function. This strongly suggests the data will come in through the FBI, be treated under FBI’s far more permissive (than NSA’s) minimization procedures, and searched regularly. Which likely means the privacy implications of innocent Americans sucked up into the dragnet will be far worse. And all that’s before any of the analysis NSA will do on these query results. There was no public consideration of the privacy impact of the innocent Americans sucked in under the CDR function during the USA F-ReDux debate (though I wrote about it repeatedly). But if DOJ’s IG intended to include past recommendations in its review of what FBI does with the phone dragnet data — which would be utterly consistent with past practice — that’s one of the things this review, the review FBI stalled beyond the point when it could be useful, would have focused on. https://www.emptywheel.net/wp-content/uploads/2016/07/Logo-Web.png 0 0 emptywheel https://www.emptywheel.net/wp-content/uploads/2016/07/Logo-Web.png emptywheel2015-06-03 22:10:362015-06-04 09:24:03Did FBI Stall an IG Review of Innocent Americans Sucked Up in the Dragnet? For over a year, Congress has been working on a “reform” to Section 215 that it claims will rein in abusive government spying. Also for about a year, DOJ’s Inspector General has been trying to release a Report on Section 215 use up to 2009. That investigation first began 1,800 days ago. DOJ has finally managed to release the report. It confirms a number of things I have been reporting for years: that the government uses the provision to collect records that have nothing to do with phone records in bulk, the majority of which are now Internet records, definitely including URLs and probably including subject lines. But the takeaway report is something else I’ve been reporting on for some time. The government completely blew off a requirement imposed with the 2006 PATRIOT Act Reauthorization that the FBI (which is the only agency that’s supposed to use Section 215) adopt minimization procedures specifically for Section 215. Even after FBI missed its September 2006 deadline by claiming it had Interim Procedures, FISC kept approving Section 215 orders, even including paragraphs that appear in every phone dragnet order claiming the government has met that statutory requirement. A year after DOJ’s Inspector General pointed out FBI was violating the statute, FISC started imposing its own minimization procedures and reporting requirements (though not — as a court operating with more transparency might have done — denying orders). Finally, in March 2013, DOJ adopted minimization procedures (though it did not start actually complying with them until more than four months after Edward Snowden’s leaks focused more attention on bulk 215 orders). In other words, Congress imposed a mandate designed to protect innocent Americans’ privacy in 2006. And DOJ blew that statutory mandate off for years. And FISC let it do so for years, approving order after order requiring FBI to have fulfilled that mandate. And only after 7 years (and some unexpected transparency) did DOJ start following the law. These are the people Congress is rushing headlong to provide new authorities (including an Emergency provision that is designed to invite abuse): government agencies who simply refuse to follow Congressional mandates. As I noted earlier, the House Judiciary Committee just released a new version of USA Freedom Act, which I’ve dubbed USA F-ReDux. I’ll have a lot more to say about it, but I want to make two minor point about things that got taken out of Leahy’s bill from last year. First, last year’s bill had minimization procedures tied to bulky Section 215 collection effectively requiring the government to destroy the data that had not been determined to be two hops from a target within a period of time. Those minimization procedures resemble what we’ve seen from the minimization procedures FISC imposed on the phone dragnet, which probably means they also resemble what FISC was imposing in other cases. In the previous year (2013), FISC had imposed minimization procedures on almost 80% of all orders. In other words, the clause basically required the government to do what the FISC was probably already forcing it to do in the majority of orders (which, in any case, permitted the government to keep, indefinitely, the records associated with people two hops out of someone whom the government had a traffic stop suspicion had ties to terror or spying). Last year, however, the FISC modified fewer than 3% of orders, and at least one of those was probably a phone dragnet one. Perhaps the change means the government finally started complying with the requirement laid out in 2006 that it adopt minimization procedures (the impending Section 215 IG Report likely created an incentive to do that, as following the law on minimization was one of the recommendations Glenn Fine had made in 2008, so Michael Horowitz surely followed up on that recommendation; plus, the generally law-abiding James Baker assumed FBI’s General Counsel role in this period). Perhaps it means the government stopped making bulky collections (though that is unlikely). But for some reason, the number of orders on which the FISC imposed minimization procedures and a report back fell off a cliff. And now the requirement that the government adopt minimization procedures for bulky collection is gone from the bill. I might be alarmed by that, but this year’s bill does add a Rule of Construction clarifying that the FISA Court can impose additional minimization procedures on top of what the bill requires the government to adopt for Section 215. So it may be that if the FBI returns to its recidivist ways on minimization procedures, we’ll see the number of modified orders spike again. I’m more concerned about what happened on the Pen Register side. Last year, the PRTT section added new “privacy” (not “minimization”) procedures. IN GENERAL.—The Attorney General shall ensure that appropriate policies and procedures are in place to safeguard nonpublicly available information concerning United States persons that is collected through the use of a pen register or trap and trace device installed under this section. Such policies and procedures shall, to the maximum extent practicable and consistent with the need to protect national security, include privacy protections that apply to the collection, retention, and use of information concerning United States persons. Compare how squishy those privacy procedures are to the required Section 215 minimization procedures FBI blew off for years. Rather than requiring the procedures minimize the retention and dissemination, the bill required only that privacy protections be applied. And there was no requirement limiting dissemination of non-foreign intelligence data. But at least there were privacy procedures, right? Baby steps? Last year’s bill had, and this year’s bill retains, a Rule of Construction (like that added to Section 215) that notes nothing limits FISC’s power to impose additional minimization procedures. (2) RULE OF CONSTRUCTION.—Nothing in this subsection limits the authority of the court established under section 103(a) or of the Attorney General to impose additional privacy or minimization procedures with regard to the installation or use of a pen register or trap and trace device. Which is all well and good, but FISC’s authority to do so with PRTT has no statutory basis, unlike Section 215. 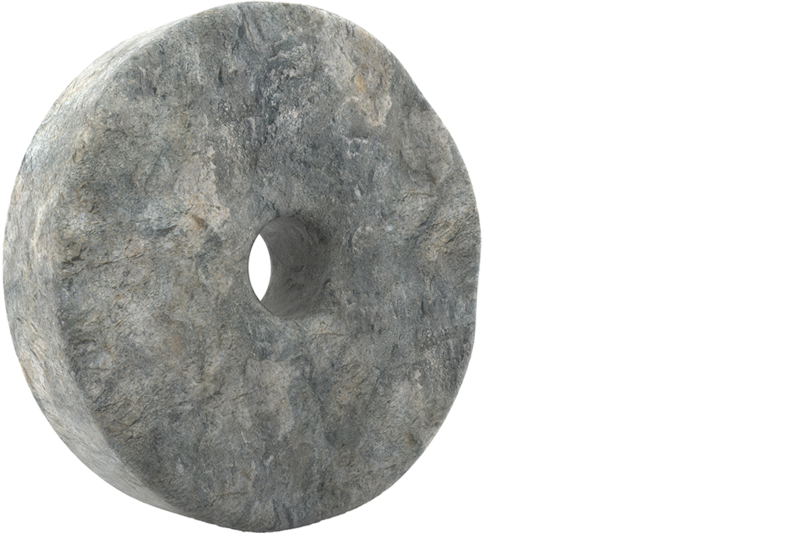 And during both the 2004 initial application for the Internet dragnet and John Bates’ 2010 reauthorization of it, the government made some fairly aggressive claims about FISC’s impotence to do anything but rubber stamp applications. So this Rule of Construction may not have the same weight as that in Section 215. Which is why I worry that this section was removed from the bill. (3) COMPLIANCE ASSESSMENT.—At or before the end of the period of time for which the installation and use of a pen register or trap and trace device is approved under an order or an extension under this section, the judge may assess compliance with the privacy procedures required by this subsection by reviewing the circumstances under which information concerning United States persons was collected, retained, or disseminated. Does the FBI STILL Have an Identity Crisis? I’ve finished up my working threads on the NSA, CIA, and FBI Section 702 minimization procedures. And they suggest that FBI has an identity crisis. Or rather, an inability to describe what it means by “identification of a US person” in unclassified form. Identification of a United States person means (1) the name, unique title, or address of a United States person; or (2) other personal identifiers of a United States person when appearing in the context of activities conducted by that person or activities conducted by others that are related to that person. A reference to a product by brand name, or manufacturer’s name or the use of a name in a descriptive sense, e.g., “Monroe Doctrine,” is not an identification of a United States person. Even though the FBI minimization procedures have a (briefer than NSA and CIA’s) definitional section and gets into when someone counts as US person from a geographical standpoint, it doesn’t have the equivalent paragraph on what they consider US person identifying information, which is central to minimization procedures. Now, I might assume that this is just an oversight, something FBI forgot to incorporate as it was writing its own 702 minimization procedures incorporating what NSA has done. Except that we know the FBI has suffered from this same kind of identity crisis in the past, in an analogous situation. As Glenn Fine described in the 2008 Inspector General Report on Section 215 (the one the successor for which has been stalled for declassification review for over 6 months), the FBI never got around to (and almost certainly still hasn’t gotten around to, except under modifications from the FISA Court) complying with Section 215’s requirement that it adopt minimization procedures specific to Section 215. One holdup was disagreement over what constituted US person identifying information. Unresolved issues included the time period for retention of information, definitional issues of “U.S. person identifying information,” and whether to include procedures for addressing material received in response to, but beyond the scope of, the FISA Court order; uploading information into FBI databases; and handling large or sensitive data collections. One problem Fine pointed out is that the AG Guidelines adopted in lieu of real minimization procedures don’t provide any guidance on when US identifying information is necessary to share. When we asked how an agent would determine, for example, whether the disclosure of U.S. person identifying information is necessary to understand foreign intelligence or assess its importance, the FBI General Counsel stated that the determination must be made on a case-by-case basis. While NSA’s 702 SMPs do lay out cases when FBI can and cannot share US person identifying information (those are, in some ways, less permissive than CIA’s sharing guidelines, if you ignore the entire criminal application and FBI’s passive voice when it comes to handling “sensitive” collections), if the guidelines for what counts as PII are not clear — or if they’re expansive enough to exempt (for example) Internet handles such as “emptywheel” that would clearly count as PII under NSA and CIA’s SMPs, then it would mean far more information on Americans can be shared in unminimized form. And remember, FBI’s sharing rules are already far more lenient than NSA’s, especially with regards to sharing with state, local, and other law enforcement partners. Call me crazy. But given the FBI’s past problems defining precisely this thing, I suspect they’re still refusing to do so. https://www.emptywheel.net/wp-content/uploads/2016/07/Logo-Web.png 0 0 emptywheel https://www.emptywheel.net/wp-content/uploads/2016/07/Logo-Web.png emptywheel2015-02-23 18:29:402015-02-23 18:36:26Does the FBI STILL Have an Identity Crisis? As I noted the other day, I’m working through documents submitted in EPIC’s FOIA for PRTT documents (see all of EPIC’s documents on this case here). In addition to the documents released (the reports to Congress, the extensive reporting on the Internet dragnet), the government submitted descriptions of what appear to be two (possibly three) sets of documents withheld: documents pertaining to orders combining a PRTT and Section 215 order, and documents pertaining to a secret technique, which we’ll call the Paragraph 31 technique. In this post I’ll examine the “combined order” documents. The Vaughn Index for this FOIA made it clear that a number of the documents Withheld in Full (WIF) pertained to orders combing the Pen Register and Section 215 (Business Record) authorities, as does this list from David Hardy’s second declaration. As I’ll show, this correlates with what we can glean from the DOJ IG Reports on Section 215. I’m less certain about Document 12. Both the EFF and ACLU Vaughn Indices show a 10/31/06 document (it is 82C in the EFF Vaughn) that is the correct length, 4 pages, that is linked with another 10/31/06 document (see 82B and 84, for example). For a variety of reasons, however, I think we can’t rule out Document 89S which appears only in the EFF FOIA (but not the ACLU FOIA), which is dated December 16, 2005 (intriguingly, the day after NYT exposed Stellar Wind), in which case the withheld portion might be the relevant 4 pages of a longer 16 page order. Last week, a number of people hailed the further declassification of DOJ Inspector General’s Report on FBI’s use of Exigent Letters. That enthusiasm is misplaced, however. What too few people noticed is the thankless work Charlie Savage did to identify what was newly declassified. He had FOIAed the IG Report, which is what set off the declassification review. So the NYT sued the FBI to declassify language that should be declassified, given everything we’ve learned about related programs subsequent to the Snowden leaks, and FBI responded by trying to pretend we don’t know they were getting (and still get, per DOJ IG’s most recently report) call chains from telecoms. Mueller called the top editors at The Washington Post and the New York Times to express regret that agents had not followed proper procedures when they sought telephone records under a process that allowed them to bypass grand jury review in emergency cases. In addition to the letter, Director Mueller called the editors of the two newspapers to express regret that the FBI agents had not followed proper procedures when they sought the reporters’ telephone records. Congratulations to Carrie Johnson who I guess now classifies as a state secret! Still, I think Savage (and FOIA requesters generally) should get finder’s fees every time the government newly classifies stuff years later … impose some kind of fine for stupid overclassification. Update: Corrected timing on Johnson story which came out in August 2008, so 17 months before the IG Report.